This post may contain affiliate links. For more information, take a look at my disclosure policy. It's no secret that college tuition costs have risen pretty drastically over the years. If you want to help finance your children's college career, it's never too early to start, and it's never too late either. Some parents are still on the fence on whether to help pay for their children's college at all. That is a good discussion to have. But, there is a lot you can do to help that won't cost you a dime. Paying for college needs to be treated as a traditional investment, not something that will automatically give you a return. So, start with the most inexpensive options and work up from there. As the cost increases, risk also increases, so be careful. Have serious talks about college, the cost of college tuition, and if college is even the right move for your child at this time. Taking a “gap year” before entering higher education is growing in popularity. There isn't a lot of data on whether a gap year affects graduation rates or average GPA, but each person has their own story. In my opinion, though, a gap year, shouldn't be a vacation year. There could be a real benefit from taking a focused year off and working full time, serving at a non-profit organization, or getting training with an internship program. If your child can begin to think of college as an investment, it might help them to take it more seriously. You wouldn't invest your money in something that would not give you a return. So, if your child can take this investment as seriously as you do, they will probably work harder. Set up a college savings plan like a 529 Plan to take advantage of both compound interest and tax savings. Compound interest is an amazing thing you can use to help with that college tuition. A 529 plan can grow tax-free. They are not subject to annual income taxes, much like ROTH IRA. When filing your taxes each year, you could be eligible for deductions on contributions to the 529 as well. On top of that, you maintain control of the funds throughout the life of the investment, not the beneficiary. So, you, the parent, have full discretion over how and when the funds are used. Check with an investment professional about the different types of 529 plans and what your state offers. While 529 plans are offered by specific states, typically they can be used at a qualifying college or university in any state. There are a TON of other resources and free money available. You'll want to take advantage of ALL of these. This research process can also help your child take ownership over their higher education. Even if they have to do a little work to find and apply for scholarships, if you think about it like an hourly wage, it will probably be WELL worth applying for the scholarship or grant. Much of the aid is income based, but you still might not know what you qualify for until you check. It will be worth yours and your child's time. If you feel you need to consider going into debt to go to college. Help your child do the research on loan options. It will probably be good to get a healthy dose of debt and APR reality, for you and your child. Will the loans be Subsidized or Unsubsidized? Will they be Direct or Indirect loans? Are you going to hold the loan or is your child? Does that affect the APR? Can you cosign on the loan? How long could you be paying on the loan? Both have some very competitive student loan offerings that could work in your favor. The important part right now is the research. This is actually a very important life lesson for your child as they may some day consider other loans or a mortgage. PLUS Loans are Federal direct loans extended to graduate or professional students and parents of students. They have their own set of eligibility requirements and can cover the entire cost of school, less any other financial aid you've already received. One catch with PLUS loans is that they can never be transferred to your child. You must hold the note until the loan is repaid in full. Co-signing on a loan with your child seems like risky business for many parents. Understandably so. On the one hand, your good credit could be what qualifies your child or the loan, which can, in turn, help build their credit score (if that even matters). But, if things don't go according to plan, you could be left holding the bag. Still, many people co-sign on loans with their kids and things work out just fine. It depends on your specific situation. Though this is an option, it is certainly a scary one! I discourage this because it puts the financial stability of the parent at risk in a real way. I'm not just talking about your child flunking out of school and all of that money being wasted, (which statistically is a valid concern). But, there are other circumstances that prevent someone from finishing school. So many of these things are completely unforeseen and you can't plan for them, and it isn't worth the risk. Exploring college tuition options with your child is a very valuable process. It can give some excellent perspective on the true cost and value of higher education. Remember that if you are researching loan options, don't rule out private loans. SoFi and Credible could have much better options than what the Federal government can offer. I hesitate on the first option as well unless your student is going to remain at home. My daughter was going to “lay out a year” and get out on her own. It played out exactly as I was afraid it might. She got out on her own, developed expenses like a car and rent payment etc., and now can’t afford to stop working and go to school. That was 5 years ago and she is stuck in a low paying position. You left out the whole life policy option. 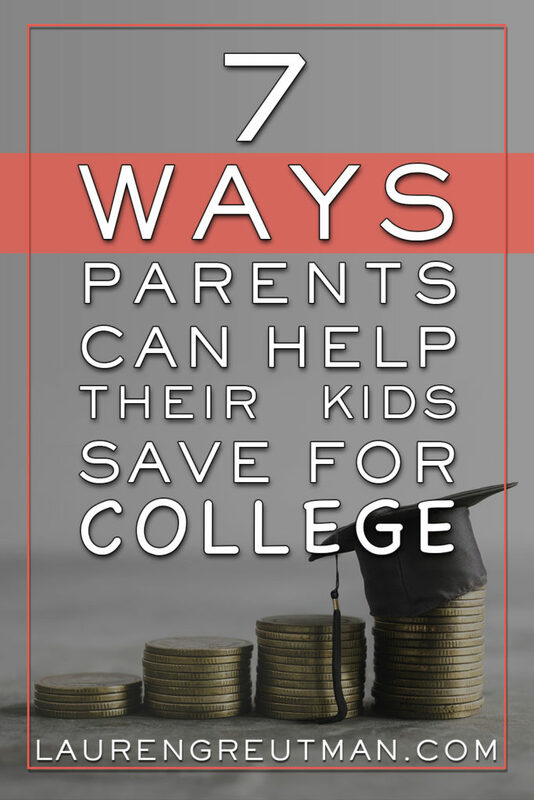 You pay for a whole life policy for your child and when they reach college age they can borrow from the current value of the policy for tuition, rent, books, utilities, etc. and if they don’t go to college they still have a whole life policy they can borrow from and continue or not continue to pay into as long as they leave some money in it. Attend Community College for two years. Get a great start on your gen eds and then transfer to the four year school and your GPA starts over and you will have much less debt and the same degree in the end.